While I've only been covering headphones here for a little while, my journey toward audio nirvana has been going on since college, when I got my first pair of "nice" headphones, the Sony MDR-D77 "Eggo" headphones. 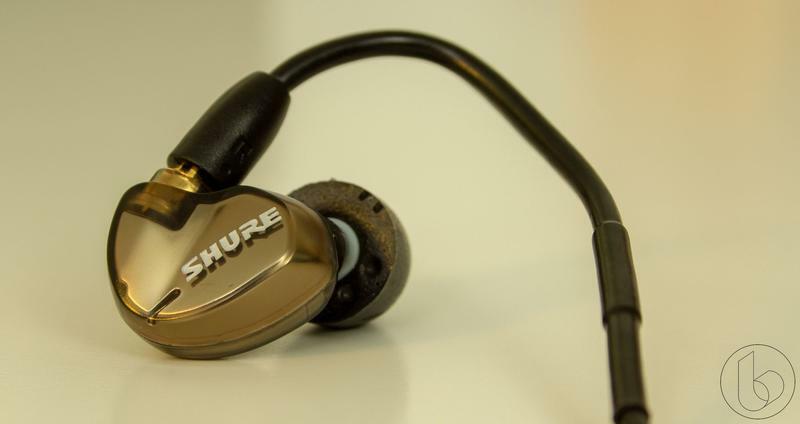 About 7 years ago, though, I stumbled across a pair of earbuds that I immediately fell in love with: Shure's SE215 in-ear headphones. 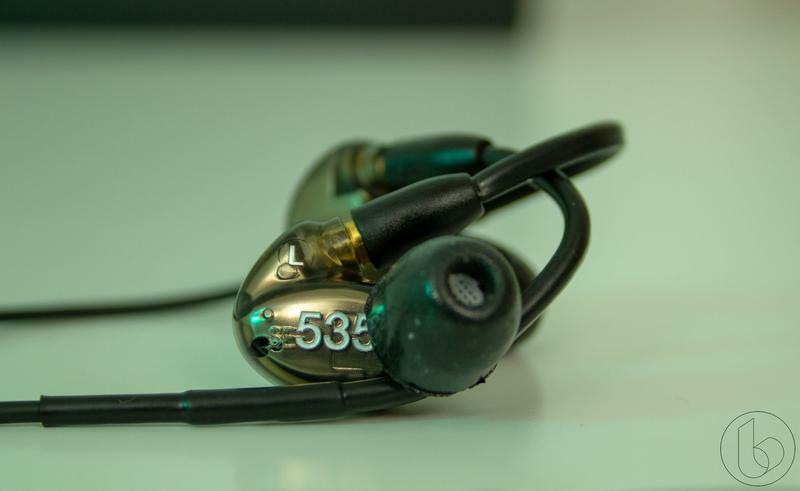 While I don't think anything can replace a good set of over-ear headphones, the way I listen to music often means earbuds are the best tool for the job. Whether I'm riding the bus or writing in a cafe, having something compact makes keeping music with me a breeze. Once I found the 215s, for a long time it felt like my search was over. I picked them up during the first run and wore them almost exclusively for a few years, before I started getting deeper into headphones. Even up through this year, seven years after I got them, they were still my primary earbud of choice when I was out and about. The last couple years, though, have seen headphone jacks dropping off phones at an increasing pace. And as much as I'd like to choose my phone specifically based on the headphone jack, I live in the real world, and I'm a Google Fi subscriber. That means my options for new phones are very limited. I was worried I'd have to retire the old dogs even though they could still run with the best of their class. 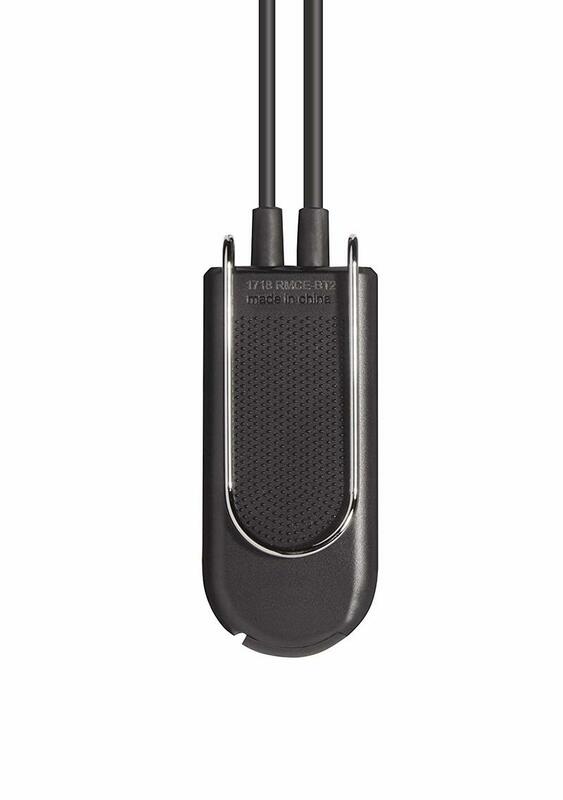 Or lug around a USB Type-C dongle with me, in addition to my headphones. 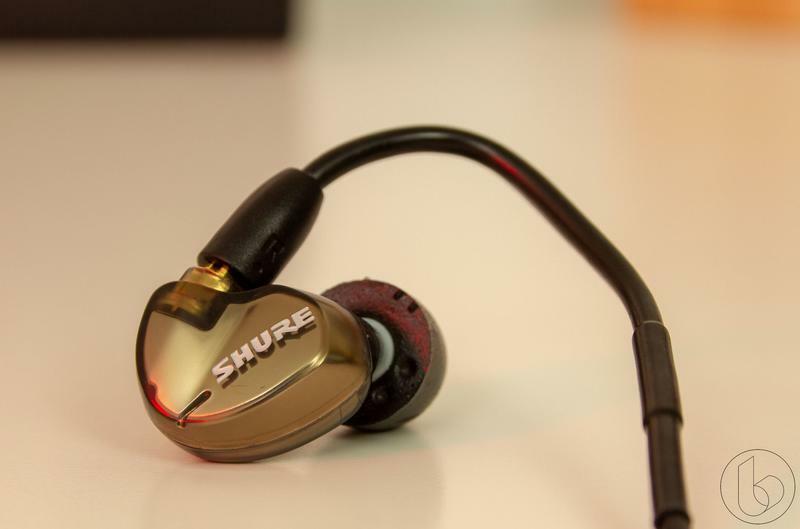 But then Shure flew me and a few other headphone geeks out to its headquarters just outside Chicago for a tour of its office and some good news. 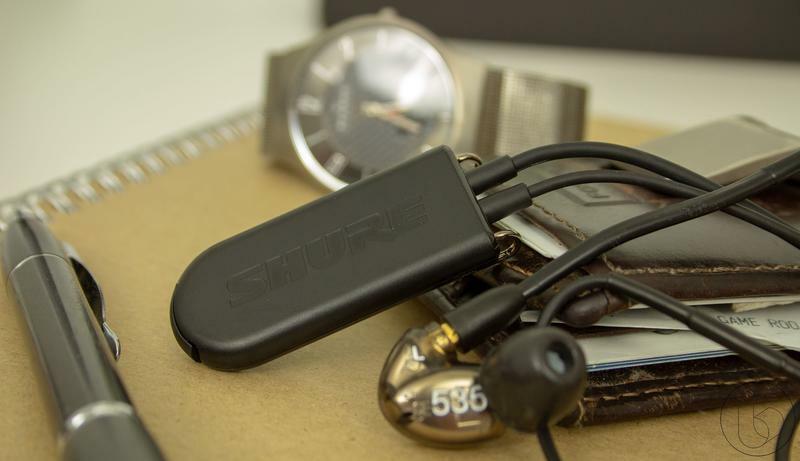 I'll talk about the tour elsewhere, but one highlight of the trip is the revelation that my 215s can come with me when my headphone jack falls off my phone, thanks to Shure's RMCE-BT2 Bluetooth adapter. 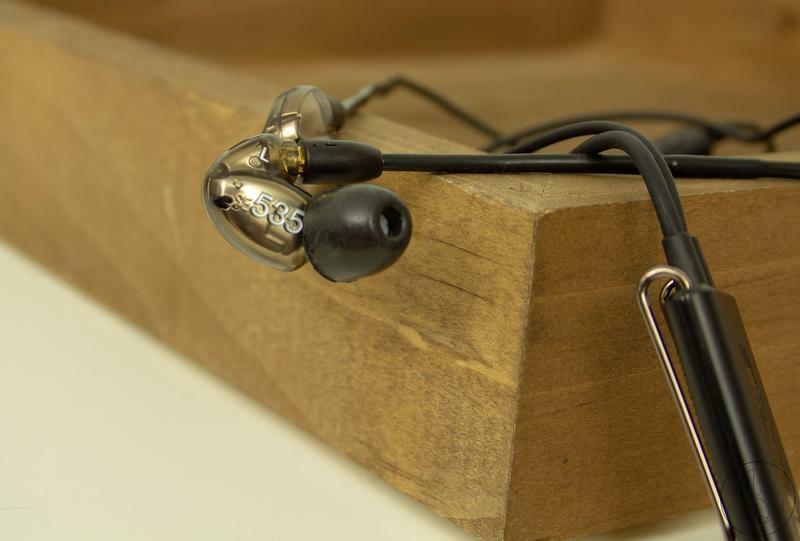 Part of what makes this possible is the modular nature of Shure's earbuds. 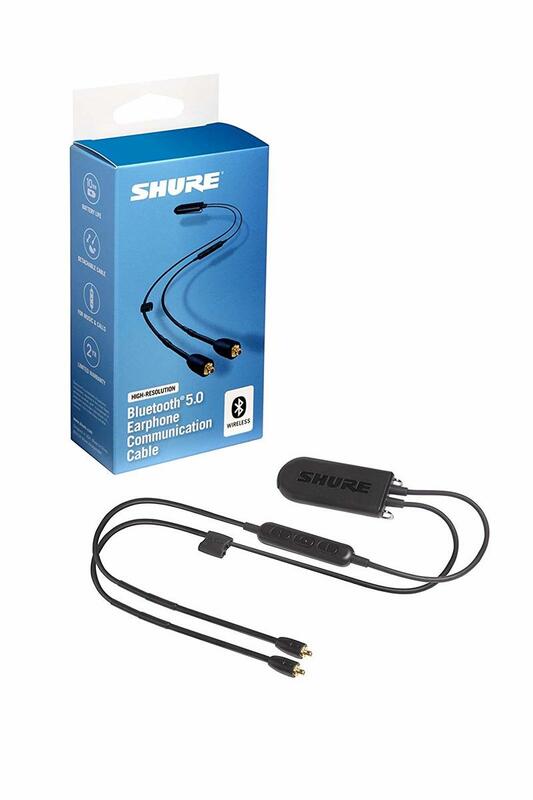 While there are different quality levels and price points within Shure's line of earbuds, all models split into three different sections: the cable, the earphone, and the ear tip. 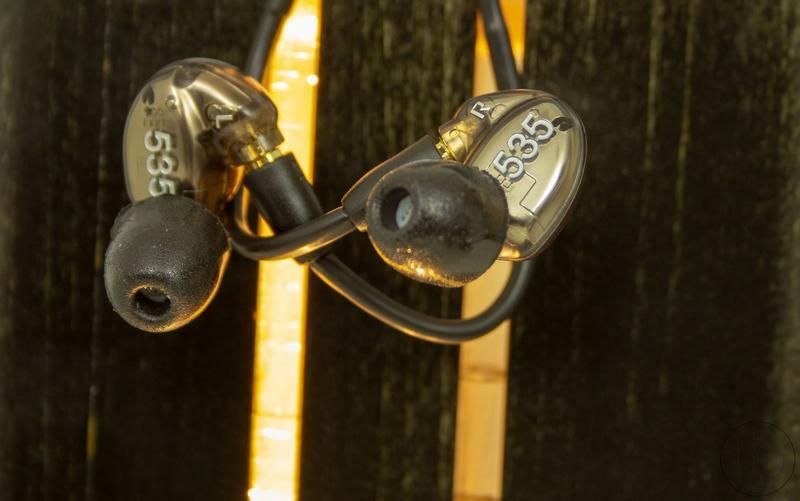 On the day-to-day, that means that the parts of the earbuds most susceptible to damage can be replaced for pretty cheap if your cat chews through the cable or likes the taste of those foam eartips (ew, gross). Or in my case, they just wear out because you use them every day. The drivers themselves are built like very tiny tanks, though, so they work unless (and maybe even if) you step on them. And that's kind of Shure's plan: to sell you one pair of headphones that are so good that you stick with them, and to use universal parts where possible. 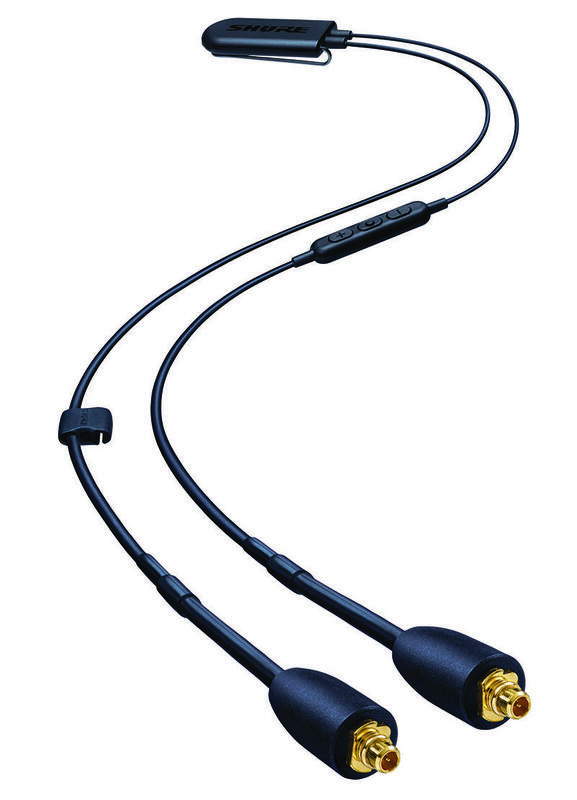 The cable that comes with their $99 earbuds is the same one that comes with their $849 earbuds. None of that silly audiophile cable-spun-from-magical-golden-spider-webs stuff. 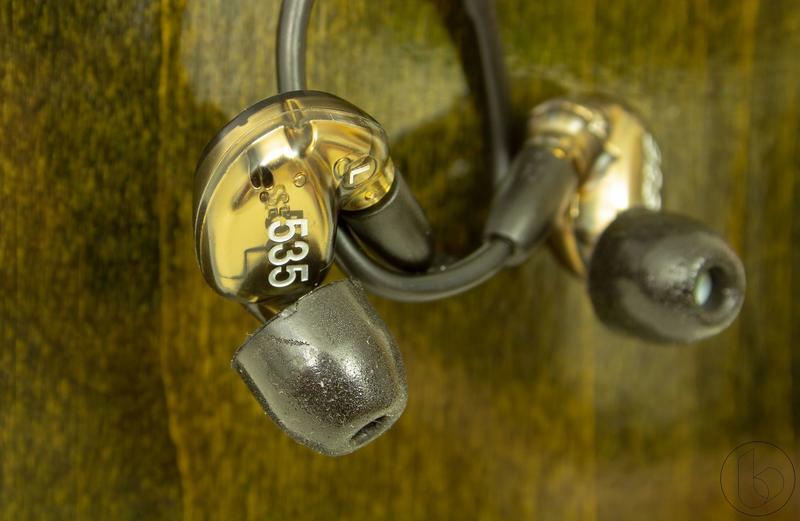 Every pair of Shure earbuds made since 2010 users the same MMCX connector to join the earphones to the cable, and every pair is modular like this. 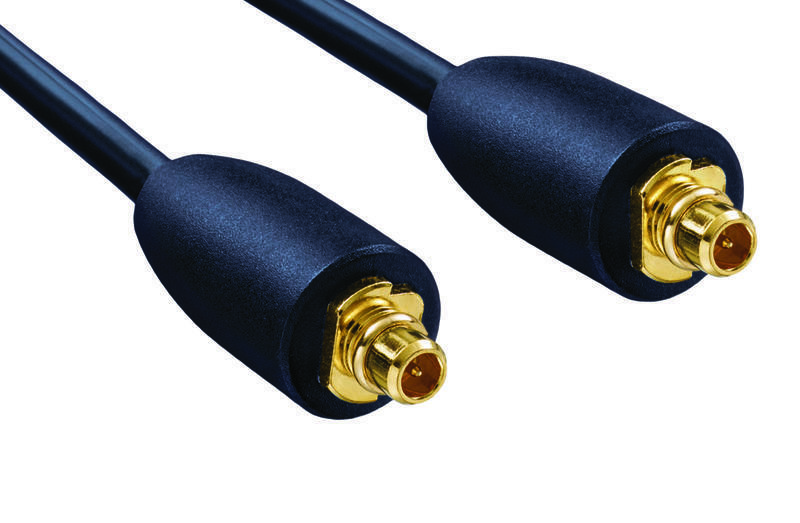 MMCX, by the way, stands for Micro-miniature Coaxial – it's not a roman numeral for 2110. That's where the BT2 connector comes in. 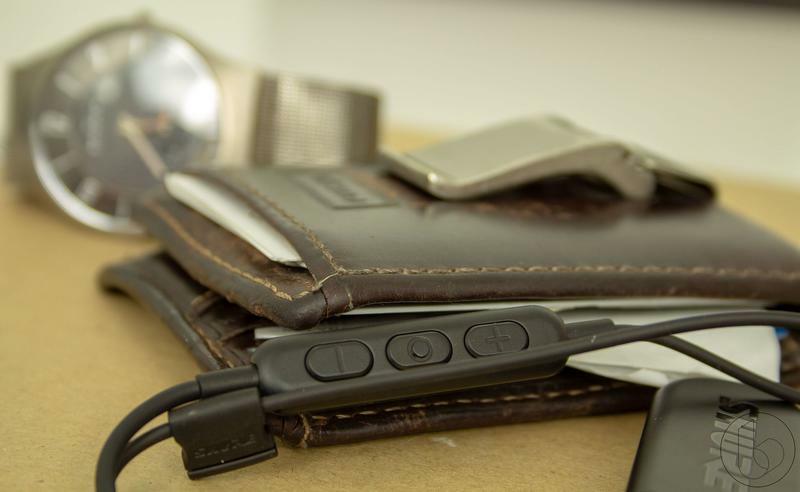 This isn't an extra dongle for your earbuds or an awkward converter. 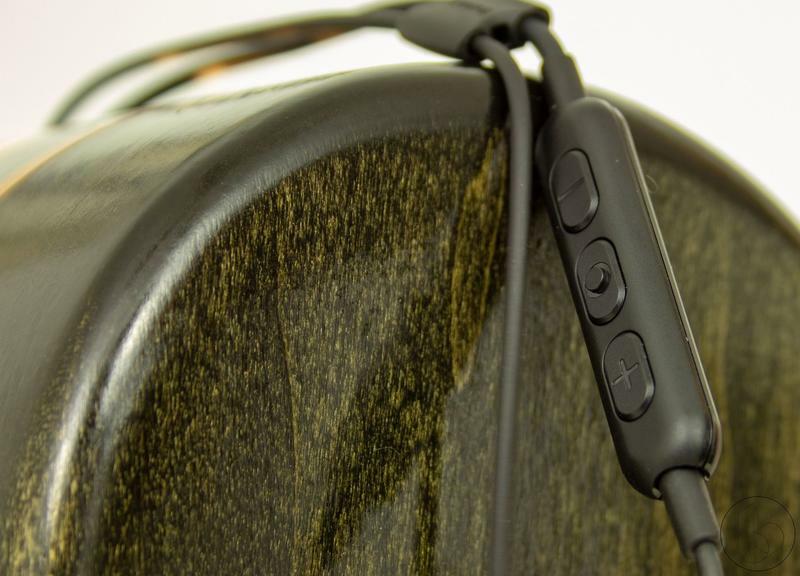 It turns an existing pair of Shure earbuds (really, most MMCX earbuds will fit, even if it's not exactly aesthetically pleasing – I verified this with my Etymotic ER4SRs) into Bluetooth-enabled earbuds that work just the same as any other spaghetti-strap pair of wireless earbuds. 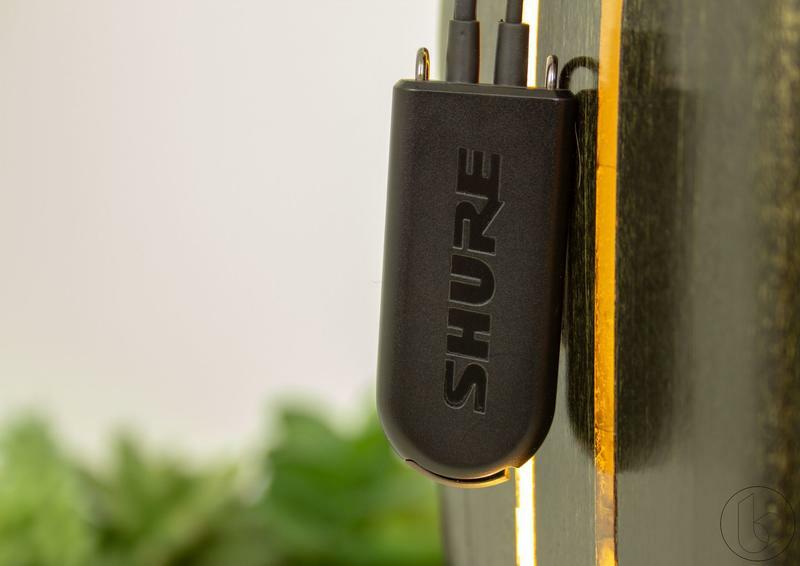 The Shure RMCE-BT2 adapter brings a Bluetooth 5.0 connection and a dedicated amplifier and digital-audio converter. The addition of BT5 allows for all the benefits that come with that tech, including increased range and improved battery life. The adapter also offers support for audio codecs like Qualcomm's aptX HD and AptX Low Latency, in addition to the more common aptX, AAC, and SBC codecs. The real benefit of these, though, that might even give them a leg up over corded headphones, though, is that built-in amp. If your cell phone still has a headphone jack, the hardware inside might not be enough to drive your headphones. If it's switched to USB Type-C, then you're depending on the USB Type-C dongle you're using being able to push enough power through to power your headphones. The BT2 goes around that. You might've noticed how big the dangly bit on these is in the gallery above. 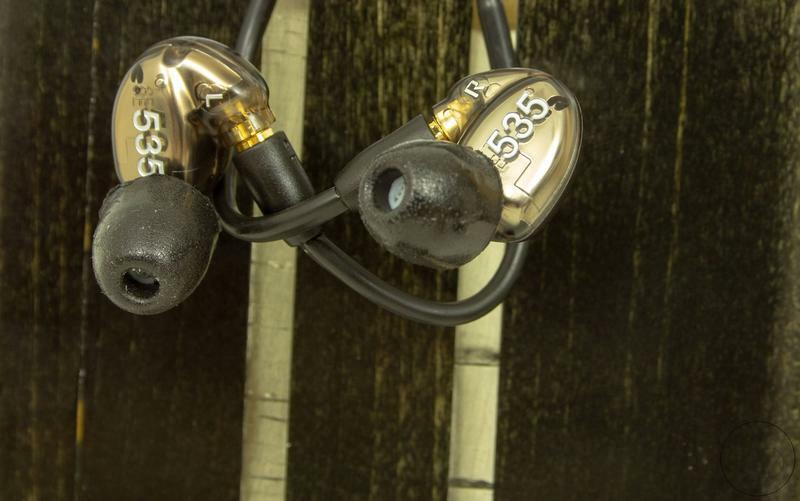 That's because the BT2 has a dedicated amp built in that has enough power to push Shure's most expensive headphones, the $900-dollar super high-end SE 846 in-ear monitors. That means everything on down the line – the 535s, 425s, and 215s will all be well-served by it. A weak amp can mean that your headphones won't perform as they should. An amp gives speakers and headphones the power to get loud enough to deliver all the detail of the music they're playing, and having a proper amp built in here means that you're ensured a much better listening experience. With that said, if you have a good headphone amplifier/digital-analog converter at home, these still may not outperform that setup if you have experienced ears and good equipment, but they're going to ensure a high-quality experience when you're out and about. 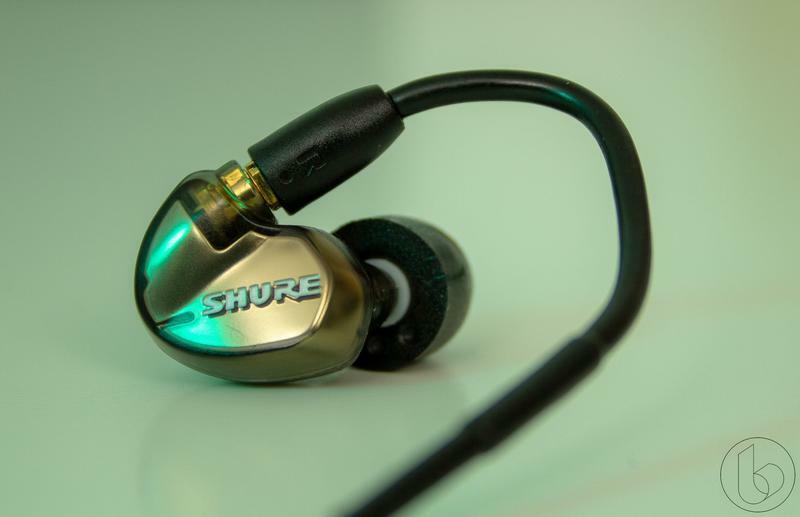 I've been a fan of Shure for a while, and it's stuff like this that makes me feel like my loyalty is justified. Not only do I get great-sounding audio, I get great-sounding audio that I can take with me regardless of input. 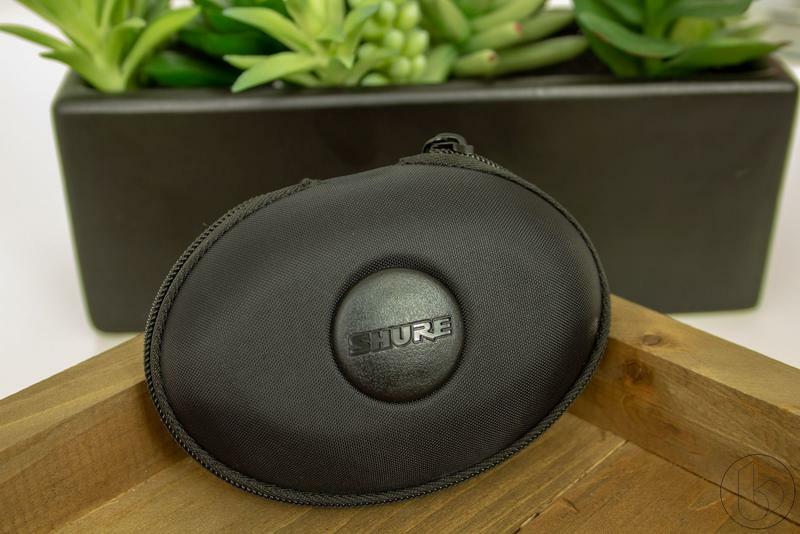 Disclaimer: Shure paid for travel and accommodations to preview this product and tour the Shure headquarters, and we received the RMCE-BT2 adapter along with a pair of Shure SE53s (which will be reviewed separately).